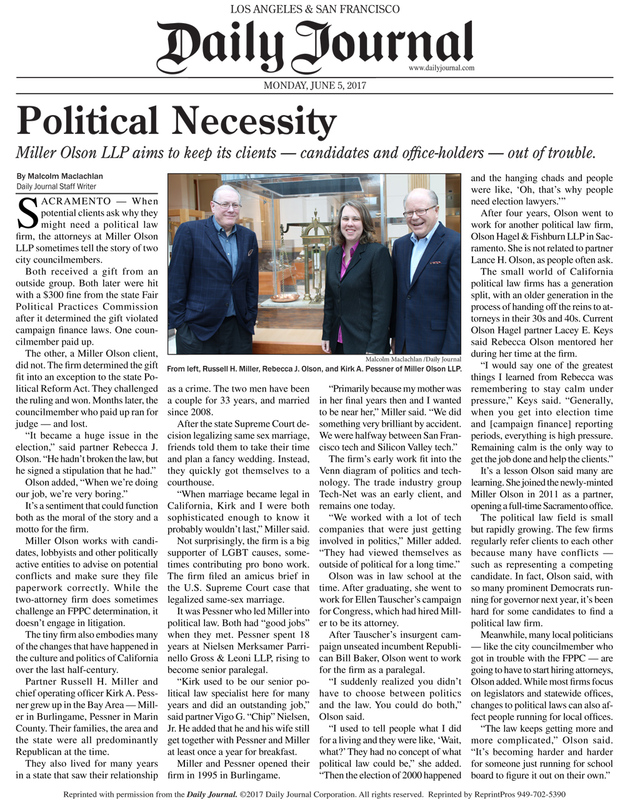 Miller & Olson LLP Featured in the News! Posted on Thursday, July 6th, 2017 at 10:25 am. Miller & Olson LLP was featured in the news! Check out the profile on our firm in the Daily Journal. Download the Daily Journal article as a .PDF here Miller Olson LLP aims to keep its clients — candidates and office-holders — out of trouble.